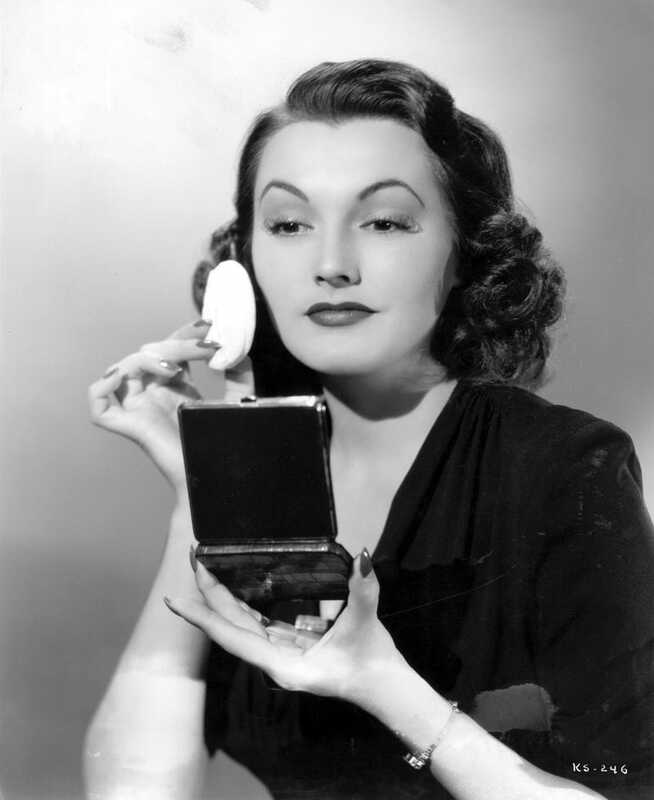 Another Friday, another Old Hollywood actress recreating her makeup routine for publicity purposes. This time we've got RKO's Kay Sutton, circa 1933, in perhaps the most comically staged shot yet. She's practically giving us a slow, LOL-what-even wink across the decades. The caption tells us we're looking on as she "demonstrates the 'Beauty For The Asking' powder container, which is backed by rich alligator leather and has a mirror in the lid top." Nothing says pure luxury like alligator leather. Those eyelashes, though!